Whatever your personal goal - from running a 5k, to smashing a marathon or conquering the world’s tallest freestanding mountain - Farm Africa can help you achieve it. And, what’s more, you will be helping to lift families in Africa out of poverty - for good. 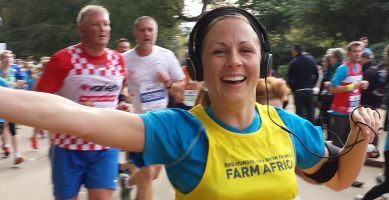 Pull on a vest for Farm Africa in a marathon, half marathon or a cycle ride. Get the adrenaline pumping and join one of our amazing overseas challenges.